Serpent of Isis Game Review - Download and Play Free Version! Both timed and non-timed modes to suit player preference. Objects can be hidden inside other objects on the screen, increasing difficulty and adding originality. A well designed story line that explains and controls progression through the game. Excellent graphics that camouflage objects well and in a realistic manner. Built-in tutorial that explains unique game features as they occur in the game. Some puzzles are featured in the story line, including reconstructing pictures and breaking simple codes, which can detract from time spent object hunting. For the price of either time or hints (depending on which mode is being played), these puzzles may be skipped. Track Down the Thieves Who Stole an Important Artifact! Embark on a thrilling train ride through Europe to track down suspected thieves of the Serpent of Isis! The artifact was stolen and you're the only one who can get it back, but do you trust the mysterious person leaving you messages about the thieves? Sneak through the train searching for clues and also explore Budapest, Paris and more as you follow the Serpent of Isis! 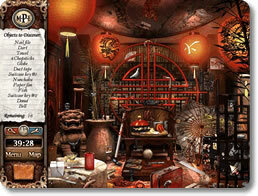 Wander through train cars and exotic cities and search for hidden objects. Some objects will be put in your inventory and you can combine them with other objects, like putting hot water in a tea kettle, to solve puzzles. Most puzzles span various scenes and require creative thinking. Enjoy a variety of mini games like navigating a maze in the dark, solving symbol puzzles, assembling torn pieces of paper and much more. Can you recover the pieces of the artifact from each thief before the train reaches London and you're too late? If you're looking for a unique, well-made adventure then this is it! The variety of scenes and mini games will keep you entertained and the mystery will keep you on the edge of your seat. With timed and untimed modes, gamers of any skill level can enjoy this adventure! Experience the adventure now with The Serpent of Isis! A well constructed plot line is among the best features of The Serpent of Isis. 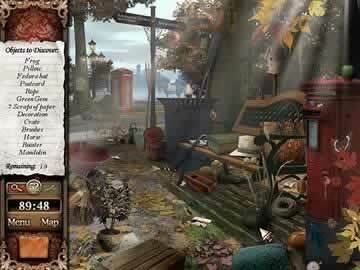 Many hidden objects games do not seamlessly integrate the plot into object hunting, but this game is an exception. After receiving an anonymous letter, you set out in search of the mysterious Serpent of Isis. Progression into the game is regulated by the objects you find that move you closer to uncovering this Serpent. Attention to small plot details is abundant, like finding the Holy Grail on a train after seeing a newspaper announcing its discovery in a previous location. The graphics themselves expertly hide objects, fun for those seeking a challenge. Moving backgrounds in train windows and flickering neon lights help to add some realism to the game. While approximately 85% of the game is spent looking for objects, there are some external challenges such as picture puzzles and simple code breaking that may be undesirable to those who only want to locate hidden objects. That said, most will find these challenges simple and rewarding in the context of the story line. Intricate features, including objects hidden within other objects, are explained as soon as they are introduced in the game, eliminating any possible confusion. 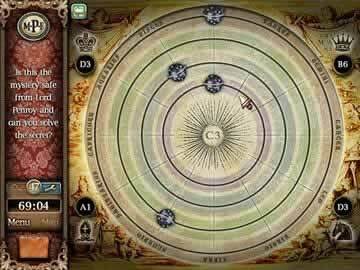 The Serpent of Isis is a well-developed game that will be an exciting challenge to almost all players.